In recent years, super storms have become a more frequent occurrence for residents here in the Northeast, causing a number of homeowners to suffer through the experience of having to go days or even weeks without power during some of the most uncomfortable months of the entire year. These events can be much more than just uncomfortable and disruptive to your family’s daily lives, however, they can also be quite dangerous if they occur during the wrong time of year, and they can also wind up causing severe damage to your home. One of the best ways to ensure that your home is prepared for this kind of occurrence is by installing a whole home backup generator. 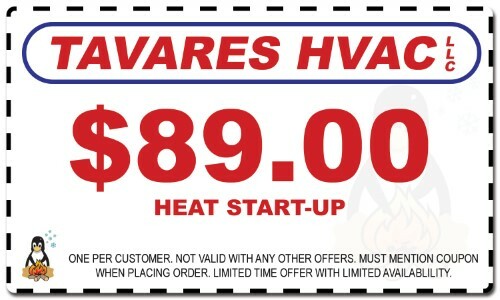 There are a number of benefits to having this excellent system in place for your home, and our New Jersey HVAC Contractors at Tavares Heating & Air Conditioning have put together a short list highlighting some of them to show you how this system can benefit you and your family. With a portable generator, someone has to be home in the event of a power outage who knows how to shut off the main power source, start the generator, and keep it running safely. This is most certainly not something you would want your children to attempt if the power goes out while you aren’t home. Whole home generators are wired directly into your home’s electrical panel, and have a sensor in place that detects when the power goes off. A whole home backup generator will then shut off the main power source automatically to prevent the backfeeding of electricity through the power lines, after which point it will switch on and will continue running until it detects the power come back on again. 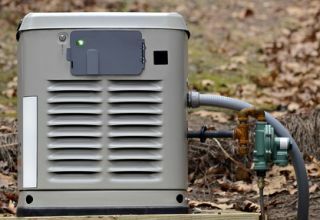 Whole home generators generally don’t have to be refueled, as they are usually connected to a liquid propane or natural gas line. Prolonged power outages can often happen during times of temperature extremes, which can subject your family to extreme discomfort, and even danger if you lose power during a particularly cold period in the winter. This doesn’t have to be a concern anymore with a whole home generator, however. 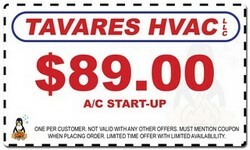 as they produce enough power to run your home’s furnace, heating system, or air conditioner. This can help to ease your mind and keep you and your family safe and comfortable in the event that you lose power during a period of uncomfortable temperature extremes. Having a whole home power generator will also give you peace of mind knowing that any medical devices you or a family member are required to keep running will continue to do so during the event of a power outage. While most necessary medical devices will have some form of battery backup installed, this can still be risky business if you lose power for an extended period of time. Having a whole home backup generator in place takes the what-if out of these situations, allowing you and your family to rest easier. With a whole home generator installed for you home, food storage and preparation won’t be an issue during any instances of prolonged power outages. This can save you hundreds of dollars as perishable food is usually fairly expensive and is quite often the first thing to go when the power goes out for any length of time. In addition, you and your family will be able to continue making use of your electronic devices for work or communication purposes. This will help keep the disruption from the power outage to a minimum.